Growing up in Ecuador, Carolina Loza-León didn’t feel particularly close to her father. He was withdrawn and not very affectionate; a military man who loved reading American books. But while Carolina felt distant from her dad, he in turn was close with an American couple who hosted him when he was an exchange student to the U.S. She never quite understood that period in his life, until she took her own trip to Cincinnati, Ohio. Listen free on Apple Podcasts or wherever you listen to podcasts. Martina Castro: The first time Rodrigo Loza left his country, he was 18 years old. He traveled from Quito, Ecuador to Cincinnati, Ohio where he lived for a year with the Schmidt family. Rodrigo was one of many young Latin Americans doing this in the 70s. At the time, there was a boom in foreign exchange programs for students coming to the U.S.
Carolina Loza-León: En ese viaje, mi papá empezó a considerar a los abuelos Schmidt parte de su familia. Martina Castro: Carolina is Rodrigo’s daughter. She had always thought of her father as emotionally withdrawn, and a little bit of an outcast. So she wondered how this American couple who spoke no Spanish ended up becoming almost like mom and dad to her father, a reserved hispanic man from the Ecuadorian highlands. She couldn’t understand this… Until she took her own trip to Cincinnati, Ohio. 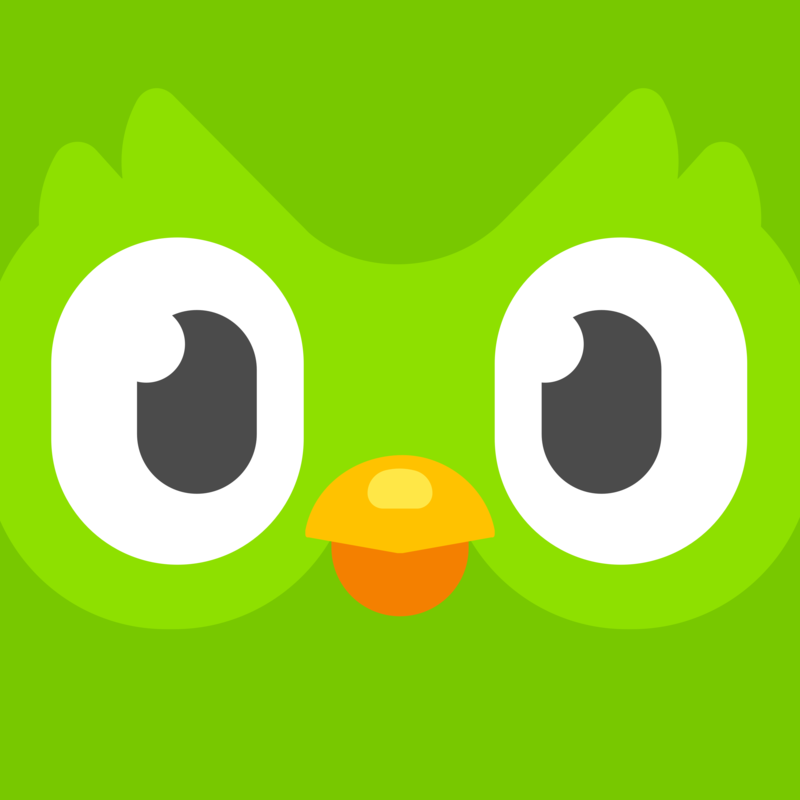 Martina Castro: Welcome to the Duolingo Spanish Podcast. We bring you true bilingual stories about travels with unexpected turns, plans unraveled, and destinations unknown. The Spanish in this story is for intermediate level learners, but if you get lost, don’t worry, we will be chiming in throughout the story. Martina Castro: Carolina’s trip started when her dad got some bad news — Tom Schmidt, his foster father from his year in Ohio, had suddenly died. In their family, they called him Abuelo Schmidt. He was 95 years old. Carolina Loza-León: Para mi papá fue difícil procesar la muerte del abuelo Schmidt. A veces se sentaba en el sofá, en silencio, sin hablar, mirando al piso. Caminaba sin dirección por toda la casa. Si mi mamá y yo hablábamos, mi papá movía su cabeza sin realmente escuchar. Martina Castro: Rodrigo was inconsolable over his foster father’s death. But Carolina couldn’t understand it… why was he so sad? She knew they were close because he always affectionately referred to them as mom and dad, which is how she ended up calling them abuelo and abuela. But Carolina had never seen her dad get this emotional about anything. Carolina Loza-León: Mi papá nunca expresa sus emociones. Se paraliza si lo abrazas. Por otro lado, los Schmidt siempre me parecieron distantes. Martina Castro: Carolina had never connected much with the Schmidts. She first met them in a short visit to the States when she was 15 years old. And then one other time when they visited Ecuador. But Carolina’s English wasn’t so good when she was younger, and simple things like their sarcastic sense of humor were lost on her. Carolina Loza-León: Mi papá no hablaba mucho de Ohio. Yo sabía muy poco sobre su año estudiando en los Estados Unidos. Martina Castro: Since she had heard only a few anecdotes about her dad’s time in Ohio, she never quite understood how her father ended up feeling so close to the Schmidts. Carolina Loza-León: El abuelo Schmidt murió en abril. Dos meses después, mi papá me preguntó si yo podía viajar a Cincinnati, Ohio, para estar un tiempo con la Abuela Schmidt. Martina Castro: Rodrigo couldn’t go to Ohio himself because he had to take care of some important family affairs in Ecuador. Carolina Loza-León: Era obvio que mi papá estaba nervioso. No quería que la abuela Schmidt sufriera de depresión. Martina Castro: Rodrigo was worried that Grandma Schmidt would become depressed. He also thought Charles, Grandma Schmidt’s son, could use an extra hand with her care. So Rodrigo pleaded with Carolina to go in his place. She agreed to go. At the time, she was 28 years old. Carolina Loza-León: Mi vuelo llegó 4 horas tarde a Cincinnati y yo estaba nerviosa. En el aeropuerto me esperaba la abuela y su hijo Charles. Carolina Loza-León: Cuando entré a su coche, no sabía qué hacer ni qué decir. Decidí no hablar durante el viaje. Martina Castro: One hour later, they pulled into the suburban neighborhood where the Schmidt family lived. The houses there had large driveways with minivans parked out front, bikes left unlocked at their doorsteps, and well-manicured lawns. Carolina Loza-León: La ciudad era segura y tranquila. Muy diferente a mi barrio en Ecuador. Martina Castro: Mary Schmidt lived in a retirement community in the same neighborhood, five minutes from the family house. Her apartment had an extra bedroom where Carolina would stay during her visit. Carolina Loza-León: Cuando llegamos, Charles me dio instrucciones sobre sus actividades y rutinas, y una lista muy larga de medicinas que la abuela Schmidt debía tomar. Ella recordaba a mi papá, pero no sabía quién era yo. Martina Castro: Carolina felt suddenly overwhelmed by the responsibility before her. For the next seven days, she would be taking care of a grieving elderly widow, who didn’t even recognize her. Carolina Loza-León: Me senté en el sofá. Imaginé los próximos días con la Abuela Schmidt: hablar mucho en inglés con personas que no conocía y recordar darle los medicamentos a la abuela. Martina Castro: But those first few days didn’t turn out to be as difficult as Carolina had imagined. Carolina Loza-León: La abuela era muy flexible con los planes. Yo hablaba con ella todo el tiempo para entretenerla. Caminábamos en el parque juntas, veíamos televisión, bebíamos un poco de vino, y jugábamos al Bingo. Carolina Loza-León: Kim me dijo: “¡Sé quién es tu papá, leí sus cartas!” Yo no sabía qué decirle. ¿De qué cartas me hablaba? Martina Castro: Letters from her dad? Carolina had no idea what Kim was talking about. Kim then walked Carolina over to a table where she rummaged through a pile of photo albums, receipts and condolence letters, until she found them. Carolina Loza-León: “Ahí están las cartas de tu papá”, dijo. El papel de las cartas era amarillo por el paso de los años. Tenían bordes rojos y azules y estampas de Ecuador y Ohio. Martina Castro: Carolina immediately started reading through them. She landed on one of the earliest ones — written in 1974, one year after her dad had returned to Ecuador. He wrote to the Schmidts about how he had been accepted into military school. Carolina Loza-León: Leí las cartas en voz alta para que la abuela escuchara. Martina Castro: Another letter, this one from 1976, talked about how Rodrigo was hoping to win a scholarship to study again in the United States. Carolina Loza-León: En el año 1977, les escribió desde la universidad en Colorado Springs. Hablaba de planes para visitarlos el 25 de diciembre, en Navidad. Martina Castro: The handwritten letters were around two to four pages long. In a few of them, Carolina read about her father’s anxiety when he was in school. Carolina Loza-León: Mi papá escribía sobre sus dificultades de la universidad y de un amor a distancia que no funcionó. Martina Castro: He also wrote about his parents’ divorce in Ecuador and how distant he felt from his family. Carolina Loza-León: Todo esto pasó antes de que yo naciera. Martina Castro: Carolina found it thrilling to read these dispatches from her father out loud, letters that weren’t meant for her to read because she hadn’t even been born yet. For Grandma Schmidt, the letters offered a window into very fond memories. Carolina Loza-León: Cuando yo leía las cartas, la abuela, escuchaba felíz y con los ojos cerrados. Carolina Loza-León: En el año 1983, después de terminar la universidad y recibir su diploma en Historia, mi papá escribió sobre su retorno a Ecuador. Carolina Loza-León: Soy piloto de combate. Pero no estoy feliz. Yo vine a Ecuador a ser el mejor piloto posible. Pero las cosas no son como yo pensaba. Martina Castro: Rodrigo complained of how his superiors mistreated him in the military; of how he didn’t see the discipline and sense of duty he expected of the institution. Carolina Loza-León: Era obvio que mi papá no se adaptaba en Ecuador. Martina Castro: This was news to Carolina. She had never heard about her father’s frustration with being back in Ecuador or with his military career, which he never quit. She was also surprised to find out that the Schmidts were the first people her father decided to confide in about this, not his friends or family from back home. Carolina Loza-León: Pasé el Día de la Madre con la abuela para que no pensara en la muerte del abuelo. Desayunamos tarde, caminamos un poco y continuamos leyendo las cartas. En una del año 1986, mi papá hablaba sobre la relación con su familia en Ecuador. Carolina Loza-León: Siento que hay un problema. Siento que mis padres se distancian de mí. Martina Castro: Rodrigo wrote that he noticed a distance growing between him and his Ecuadorian parents. Carolina felt pain for her dad as she read this. Grandma Schmidt also struggled to understand why Rodrigo’s parents would grow indifferent to their son. Martina Castro: One night, Grandma Schmidt’s sons Charles and Tim came over for dinner. They shared stories with Carolina from the year her dad spent with them. Carolina Loza-León: Charles y Tim me contaron historias sobre mi padre, por ejemplo, sobre cómo él participaba muy poco en las conversaciones, porque no hablaba inglés. Martina Castro: They told her about how he learned to swim at their Golf Club. How in the nearby town of Blue Ash, he bought his first suit for his graduation party. They showed her the garden he would cross each day to go to school. Carolina Loza-León: En la casa todavía tienen pinturas que compraron cuando visitaron Ecuador en el año 1989. Martina Castro: And In their bedroom, Carolina saw that the Schmidts had six photos — five of their children, and right next to them, one of Rodrigo, her dad. Carolina Loza-León: La noche siguiente a nuestra cena, llamé a mi papá. Le hablé sobre la abuela, Charles y Tim. Carolina Loza-León: Mi papá me dijo que abrazara a la abuela por él. Martina Castro: That she give Grandma Schmidt a big hug for him. Martina Castro: Over the days she spent in Ohio, Carolina learned that the values she most appreciates in her dad, are ones he learned from the Schmidts. Carolina Loza-León: Con ellos, aprendió el valor de la palabra, el perfeccionismo y la dedicación a la familia. Martina Castro: Thanks to them, Rodrigo also learned to navigate American culture and fell in love with it. Carolina Loza-León: Cuando era pequeña, mi papá escuchaba Simon & Garfunkel. También leía libros y decía chistes en inglés que yo no entendía. Martina Castro: His love for English eventually motivated Carolina to learn the language and make it part of her life too. Carolina Loza-León: Gracias al inglés, hoy soy periodista. Martina Castro: As a journalist, Carolina has worked with the United Nations, Vice News, and even the New York Times, all thanks to her english. And now it made it possible for her to accompany Grandma Schmidt, and to read her father’s letters. Towards the end of her visit, Carolina remembers reading one that really struck her. Carolina Loza-León: No sé cuándo regresaré a Estados Unidos. Gracias por todo, mamá y papá. Gracias por todo lo que hicieron por mí. Estaré en contacto, lo prometo. Martina Castro: When Rodrigo wrote those words, thanking them for everything they had done for him, and saying that he didn’t know when be back in the United States, he probably never thought that one day, the one to return would be his daughter. Carolina Loza-León: Gracias a mi papá y sus sacrificios, yo estaba ahí. Martina Castro: Now it was Carolina who was overwhelmed with emotion. Carolina Loza-León: Lloré. Lloré pensando en nuestras peleas. En nuestras dificultades y diferencias. Martina Castro: Carolina remembered the many times she felt embarrassed by her dad and complained about his peculiar ways. Martina Castro: It suddenly clicked for her that her dad’s quirks could be traced back to this pivotal time in his life, to feeling lost and alone in Ecuador, and yet loved and supported by this American couple, thousands of miles away in Ohio. She could now appreciate all that they gave him, and how he had, in his own way, given that to her. Carolina Loza-León: Pensé en esto por unas horas. Más tarde, decidí escribirle por mensaje de texto. Martina Castro: Inspired by her father’s words to the Schmidts in the letter she had just read, Carolina texted her dad to thank him for the sacrifices he had made for her. Carolina Loza-León: Él me respondió: No es necesario decir gracias. Es parte de mi trabajo como papá. This episode includes recordings from smokeyvw and exert.com.au under the CC Attribution License from freesound.org.